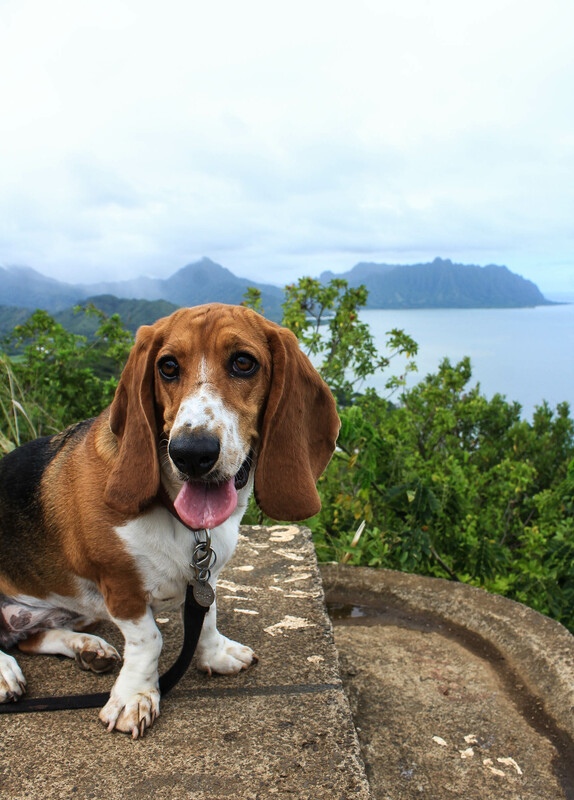 Our first days together on Oahu were mostly consumed with searching for a home (more details on that will be shared in a later post). On our second day of searching, we drove out to Kaneohe on the East side of the island to look at a condo. In order to justify the longer drive for a single listing, we decided to go for a nearby hike. Curtis had already hiked to this peak on his own during his first week on the island, but thought it would be a good start for Charlotte and I. When he first hiked it, it was on a weekend and the trail had been busier, but on this humid and cloudy weekday afternoon we were all alone. 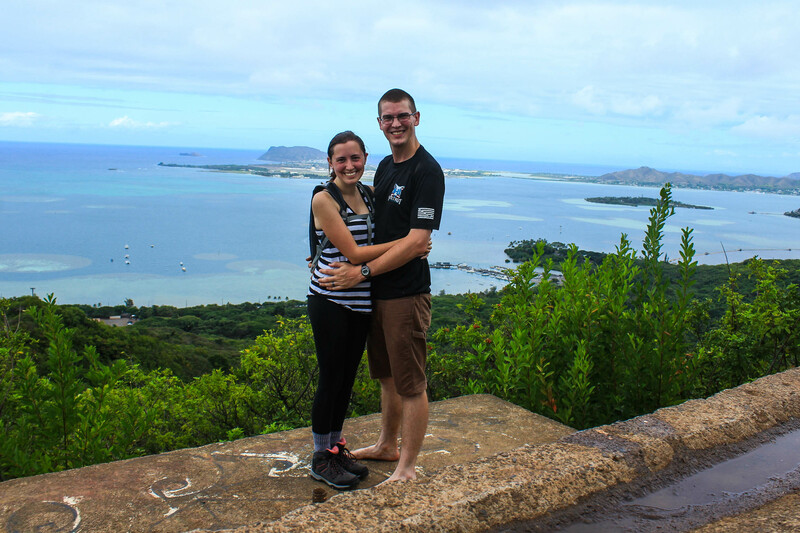 Hiking in Hawaii is very different than anywhere else we’ve hiked as all upcoming posts about hiking will describe. First, there’s the parking. Some trails have small lots like we’d expect from most of our mainland experiences, but many do not. Sometimes we find that the only place to park is on a residential street. In this case, we parked in a nearby strip mall parking lot and walked along the road to the trailhead. 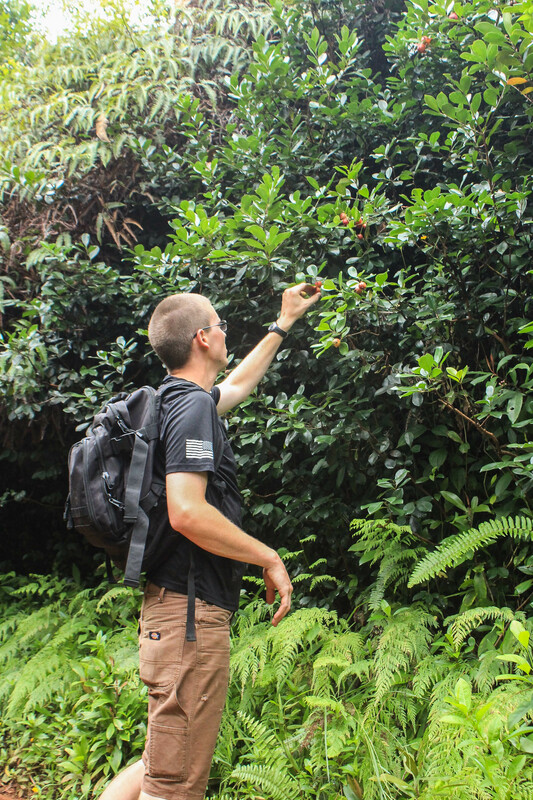 Curtis was quick to point out his favorite part about hiking here: the strawberry guava! It’s actually an invasive plant that’s taking over the native Hawaiian plants, but the guava is high in vitamin C and makes for a delicious snack while hiking. The other big thing he learned from hiking here soon became evident — we sweat a LOT more here. It’s ridiculous! One thing that makes hiking challenging here is the clay-like soil that quickly becomes slick when wet. I noted a few ropes along the trail today, and was thankful the ground was mostly firm that afternoon. That hasn’t always been the case in our adventures. 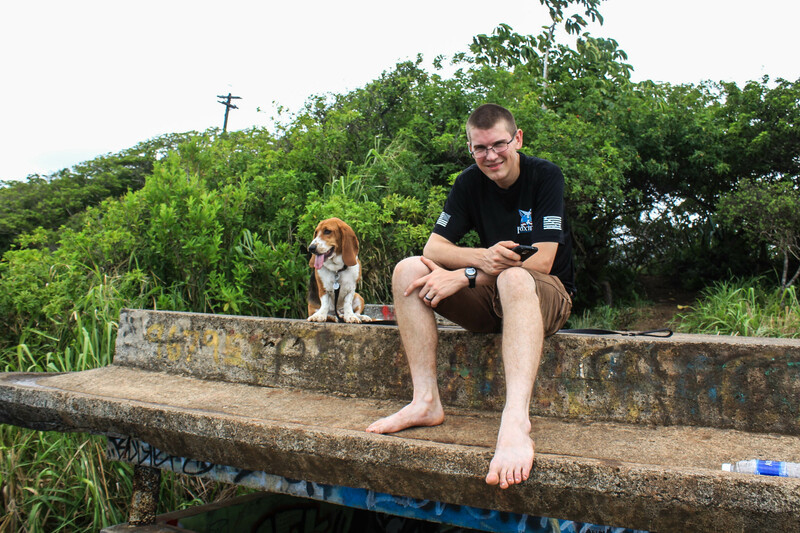 If you do any hiking on Oahu, you’ll likely hear of THE Pillbox Hike. 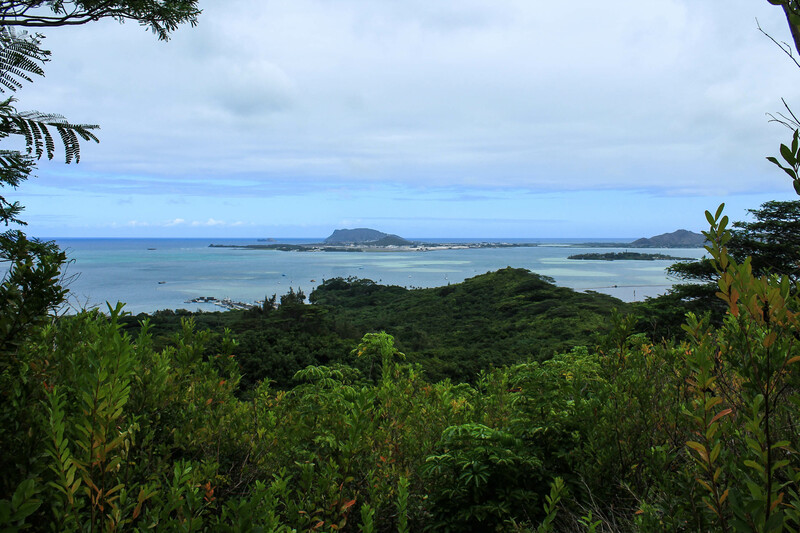 Before arriving, I had seen many posts about this illustrious hike overlooking Lanikai Beach. And while we have yet to make the early morning hike to see the sunrise, we can attest that there are in fact many Pillbox Hikes. We’ve done three already. And for the casual hiker, or the person who wants a quick ‘Hawaiian Hike’, these offer great views and are all easy in comparison to peaks in the bigger mountain ranges, the Ko’olaus and the Wai’anaes. We have a lot more to learn and become adjusted to, but are excited to become more familiar with this once so foreign land. I’m also wondering if it’s possible that we could run out of new hikes to do on this island after a couple years? I guess we’ll find out!